As small as ants or as large as dinner plates, hives can be any size and shape in the form of itchy red bumps on the skin. Hives, known as urticaria, are caused by the release of histamine, a chemical that increases the permeability of blood vessels resulting in leakage of fluid into deep skin layers. 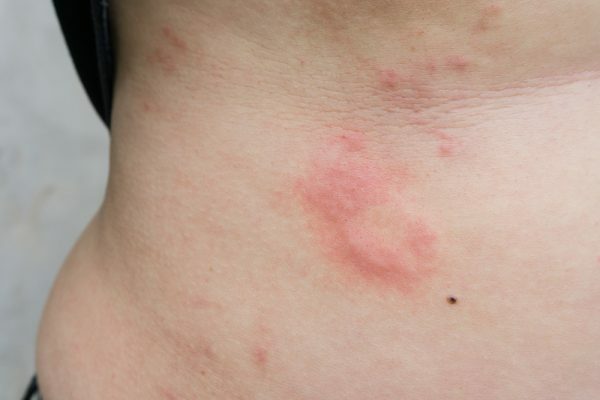 This may happen as a result of an allergic reaction, insect bites, food chemicals, medicines or sunlight (1). Hives can also occur due to stress, certain infections or excess consumption of liquor and caffeine. They are characterized by pale red, swollen bumps, welts or patches on the skin. They can show up anywhere on your body including your neck, face, throat and ears, and can cause itching, burning and stinging sensations. (1) If you have a break out of hives on your skin, you cannot help but scratch yourself to find some quick relief. Although hives usually disappear soon on their own, in some cases they may last up to several days and cause extreme discomfort. Oatmeal has been shown to have anti-inflammatory and anti-itch properties when used on the skin. (2) As such, it may be beneficial in treatment of hives. 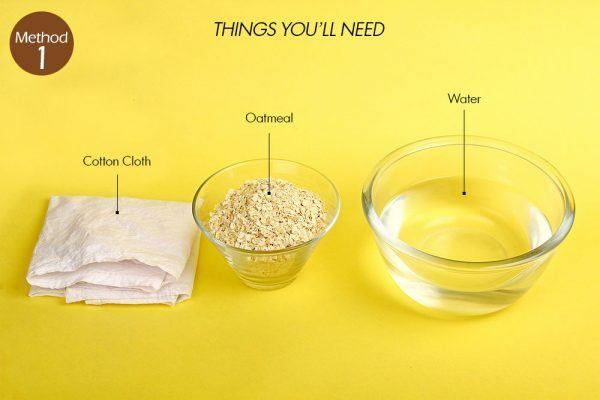 Place a piece of cotton or nylon cloth over a bowl of water. Pour a handful of uncooked oatmeal onto the cloth. Oatmeal contains oils and nutrients that change the pH balance of the skin and help reduce itching. Bundle up and tie the cloth. 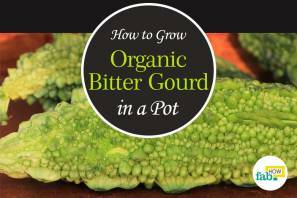 Put it in a cup of water and allow it to steep for 5 to 7 minutes. Gently press the poultice on the outbreak, using it as a compress. 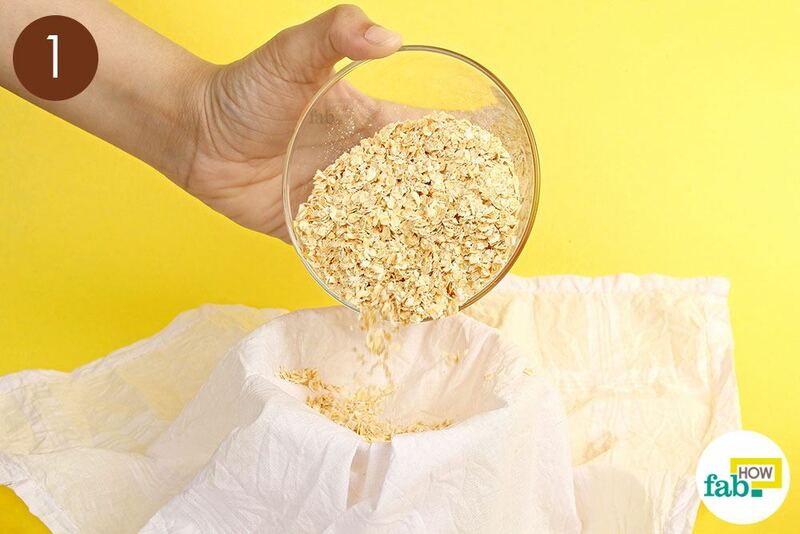 Do not throw away the water in which you soaked the oatmeal compress. You can use it as a topical ointment throughout the day. Using ice packs or cold compresses is an effective way to treat your hives. 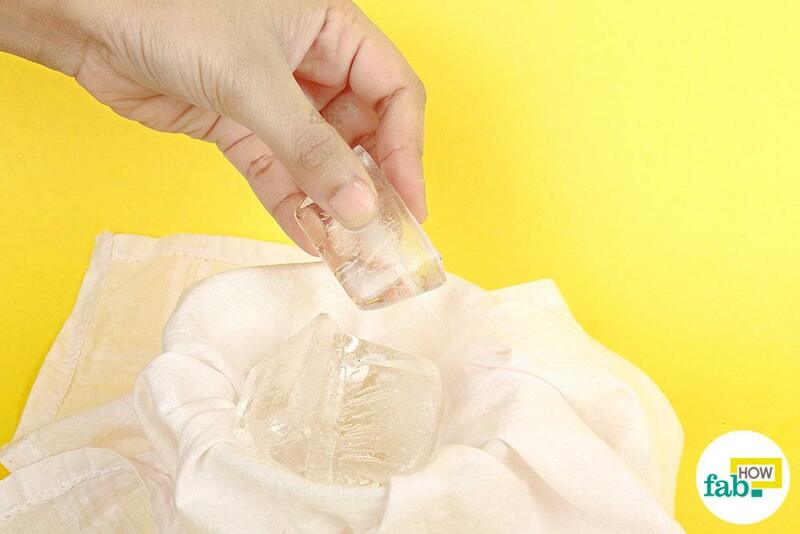 Wrap some ice cubes in a cotton cloth. Apply it over the affected area for 15 to 20 minutes. However, make sure not to use ice cubes directly over the outbreaks, as this may damage your skin. Alternatively, cold baths and showers may help. 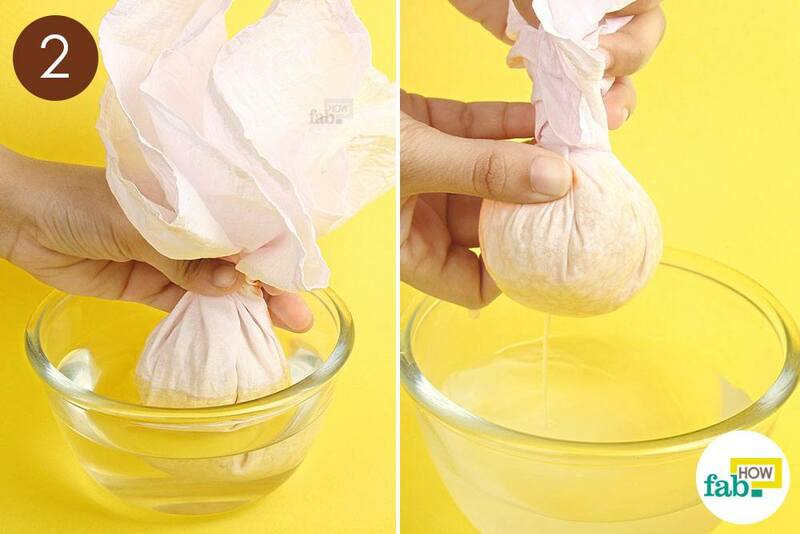 Soak a cotton ball in aloe vera gel. Apply it on the affected site. Leave it for 1 hour, then rinse it off using cold water. Follow this remedy twice every day or until the hives disappear. Bring 1 cup of milk to a boil in a pan. 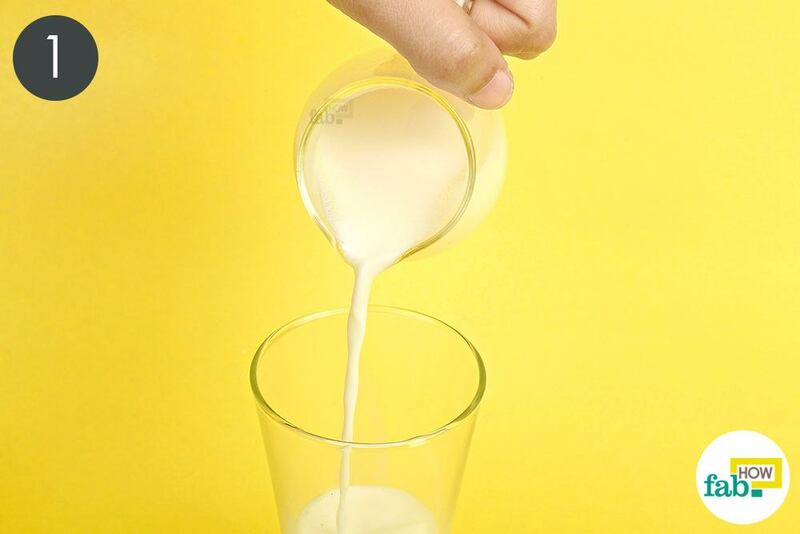 Pour the boiled milk into a cup or a glass. Milk has antioxidant properties and helps relieve itching from the outbreak of hives. 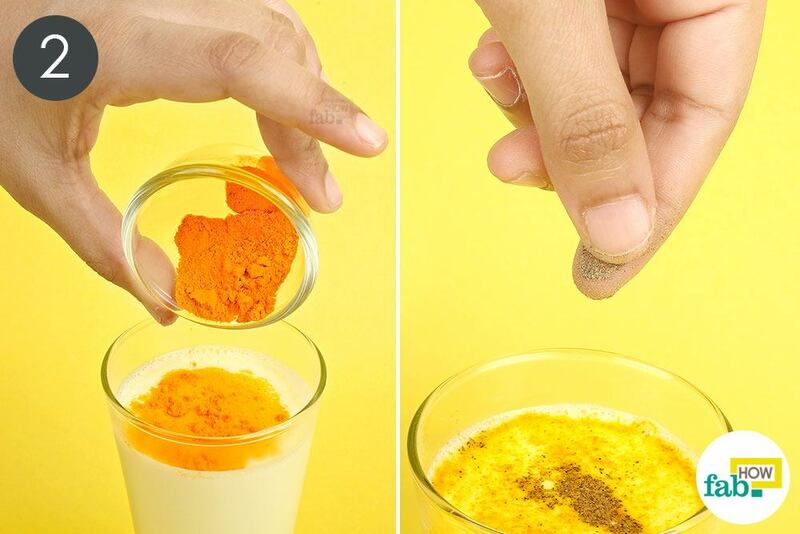 Blend in ½ teaspoon of turmeric powder and a pinch (¼ teaspoon) of black pepper. 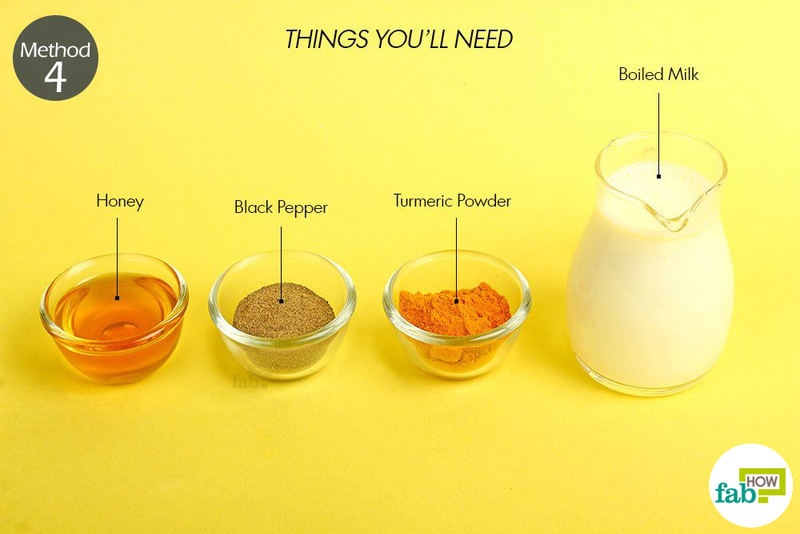 Turmeric and black pepper contain polyphenols that exhibit therapeutic anti-inflammatory, antioxidant, antimicrobial and anti-allergic properties that help provide relief from the allergic reaction. 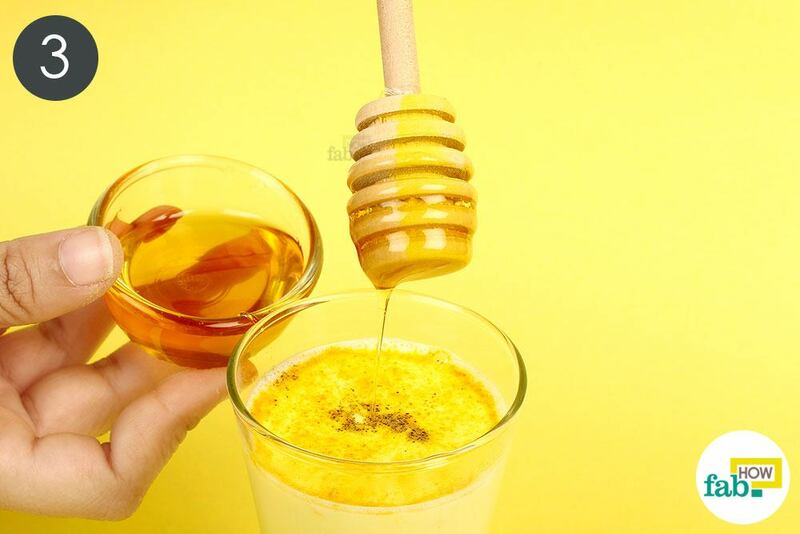 Sweeten your strained drink by adding ½ teaspoon of honey. 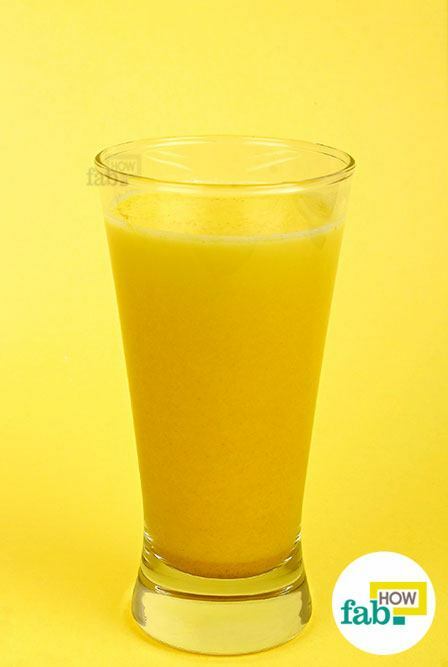 Drink this in the morning and before going to bed to clear up the allergic reaction. Eat foods rich in vitamin C like yellow bell peppers, oranges, lemons, berries and kale that help reduce the production of histamine, thus reducing the chance of outbreaks. Add fish like mackerel, salmon, tuna and trout to your diet. They are rich in omega-3 fatty acids that have excellent anti-inflammatory properties to help get rid of hives. For vegetarians, you can resort to fish oil capsules. Eating probiotic and live cultures in curd and cottage cheese is another healthy option to prevent hives. These are rich in acidophilus bacteria that further enrich the intestinal gut. Remove as much stress as possible from your life. Stress is one of the major causes of hive outbreaks. Avoid excess alcohol and caffeine consumption, tight clothing, insect bites and new laundry detergents, as they are other major reasons behind outbreaks of hives. Use a moisturizer when you discover the beginning of an outbreak. Apply astringent to the skin, as they will help shrink your blood vessels near welts, restricting the leakage of histamine. Radonjic-Hoesli S, Hofmeier KS, Micaletto S, Schmid-Grendelmeier P, Bircher A, Simon D. Urticaria and Angioedema: an Update on Classification and Pathogenesis. SpringerLink. https://link.springer.com/article/10.1007/s12016-017-8628-1. Published July 26, 2017. Pazyar N, Yaghoobi R, Kazerouni A, Feily A. Oatmeal in dermatology: A brief review Pazyar N, Yaghoobi ... Indian journal of dermatology, venereology and leprology. http://www.ijdvl.com/article.asp?issn=0378-6323;year=2012;volume=78;issue=2;spage=142;epage=145;aulast=Pazyar. Published 2012. Khoshnevis S, Craik NK, Diller KR. Cold-induced vasoconstriction may persist long after ... HHS Public Access. https://www.ncbi.nlm.nih.gov/pmc/articles/PMC4395553/. Published September 1, 2015. Surjushe A, Vasani R, Saple DG. ALOE VERA: A SHORT REVIEW - PubMed Central (PMC). Indian Journal of Dermatology. https://www.ncbi.nlm.nih.gov/pmc/articles/PMC2763764/. Published 2008. Cheng BH, Wu PY. Antiallergic Potential on RBL-2H3 Cells of Some Phenolic ... Journal of Natural Products. http://pubs.acs.org/doi/abs/10.1021/np800555y. Published 2009. Chandrashekhar VM, Halagali KS, Nidavani RB, et al. Anti-allergic activity of German chamomile (Matricaria recutita L.) in mast cell mediated allergy model. Journal of Ethnopharmacology. https://www.sciencedirect.com/science/article/pii/S0378874111003941. Published May 31, 2011. Vegetarians can’t have fish oil capsules either, just saying….